First a giggle, then a guffaw emanated from the front seat of the PA12 as Angela did the maneuver for the first time. She followed it with the same maneuver in the opposite direction with the same result… gales of laughter and delight at what the little Cub could do. What was the maneuver that elicited such a reaction from this pilot? Angela readies for the Flat Turn. Her concentration will soon turn to joy. It was the flat turn, and before we get into the maneuver itself, which is nothing more than a fairly sharp turn executed with the wings level instead of banked, perhaps we should introduce it by explaining why so few pilots are familiar with it! Does it have a useful purpose? No. But it does a couple of things that most maneuvers taught by Acme don’t. It teaches precise control of rudder and elevator and familiarizes the pilot with less-than-coordinated flight. And it’s a lot of fun. Does it have risks? Sure, it does. As a skidding turn, if you combine it with a stall you are asking for a spin. But at Tailwheel Town, you are assumed to have sufficient sensitivity on elevator, that you are not going to go tumbling into a deadly spin if the airplane bucks a bit. 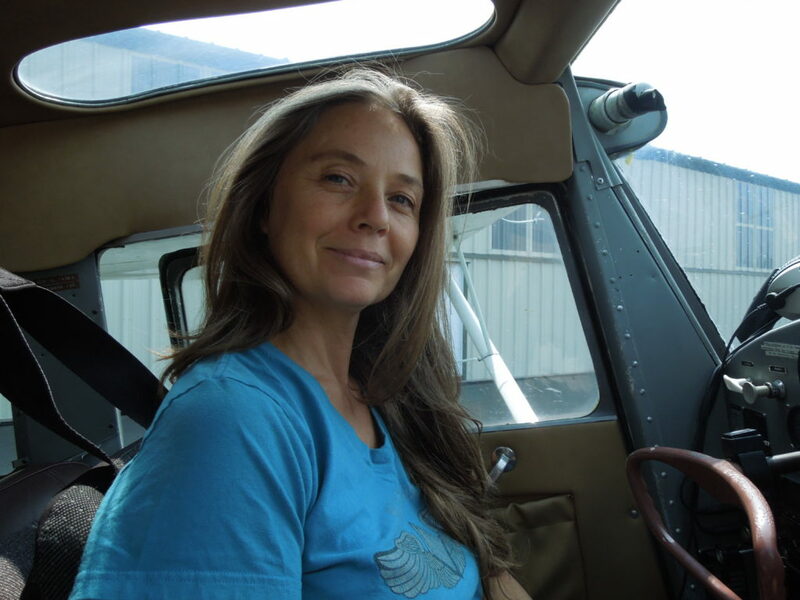 Angela in the Outlaw Aviation Cessna 120. Angela is a talented pilot. Sure, she has some bad training baggage, but most Acme-trained pilots do. That’s easy enough to overcome if a pilot has talent, which she has. 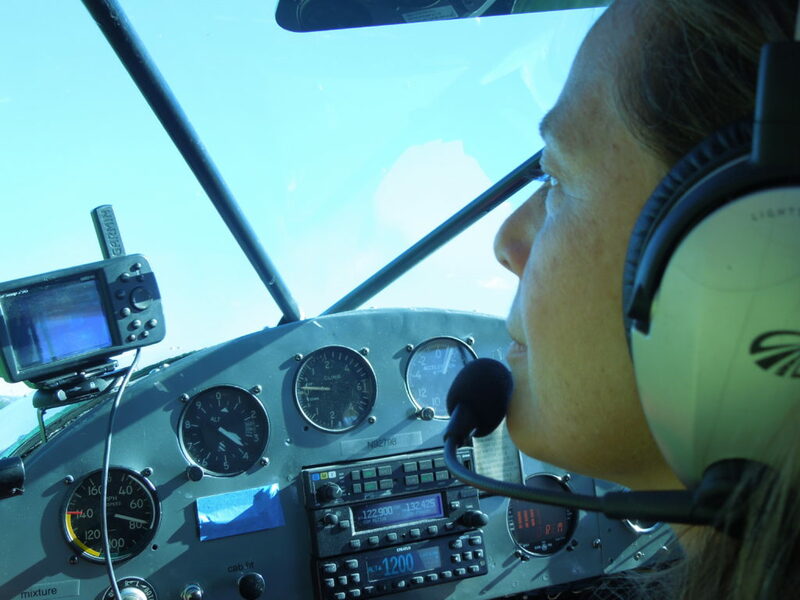 But the reason that she is such a good example of the value of unusual maneuvers is precisely that she is interested in becoming the best pilot she can be. And that reason alone is sufficient to justify her practice of the flat turn, as well as the Falling Leaf, Turning Slips, Slaloms, Multiples and all the other goofy maneuvers that we teach at tailwheel town. And her reaction, the giggles and laughter, are precisely why the fun we have will be the major reason she continues to improve. Each chortle on her part is the reason I teach. I’m grateful to her for those. I just read your original article “That Damned Flat Turn,” and was delighted to see your reference to “Found at Pharisee,” one of my favorite Richard Bach short stories. I’ve always thought that some of what he described was along the lines of how I learned about flight: I played with model airplanes as a kid and intently studied all that they did and what happened when I made changes. Many things that seem obvious to me appear to escape others. And, yes: I play with flat turns form time to time, too and it truly does take a lot of power to complete one!